SRINAGAR: PDP president Mehbooba Mufti has said that like Pakistan premier Imran Khan she too is hoping that Prime Minister Narendra Modi will start a dialogue with Islamabad if he gets re-elected. The former Chief Minister said her father Mufti Mohammad Sayeed was of the same view when he formed an alliance with the BJP in 2015 but Modi “lost a golden opportunity by not making use of it to start a dialogue with Pakistan”. “That is what Mufti thought. 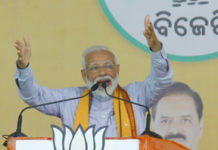 He knew that a BJP Prime Minister, who has support of Jan Sangh, the RSS and Shiv Sena, if he wants to make use of the opportunity, then he can talk to Pakistan like (former Prime Minister Atal Bihari) Vajpayee, she told reporters here. The PDP president was reacting to Khan’s remarks that he thinks there may be a better chance of peace talks with India if BJP wins the general election due to begin tomorrow.“Now, if Modi gets re-elected, then like Imran Khan, we too hope that he starts a dialogue with Pakistan and Modi makes full use of another opportunity,” Mehbooba Mufti said. 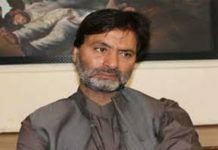 The former Chief Minister said that Modi with a strong mandate had a great opportunity to move decisively forward on the resolution of Kashmir issue and he wasted it. “Why are you feeling embarrassed? 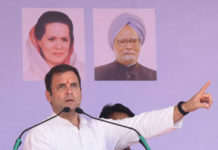 Raise your heads and tell the people what Prime Minister of Pakistan is saying today has been said much before by Mufti Sayeed,” she asked party activists said and urged people to vote for her. “Previously I won by 50 to 60 thousands votes, today I shall win by one lakh votes”, she said. 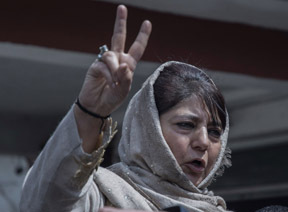 Mehbooba, while addressing a worker’s convention in Anantnag, asserted that the vision and roadmap of dialogue and reconciliation created by Mufti Mohammad Sayeed is the only pragmatic way to deal with the vexed issue of Kashmir and get the people of the State out of morass.